I’ve seen a few varities of the Christmas tag floating around the blogosphere recently, so I’ve decided to jump on the bangwagon and do this one I found. It was a lot of fun and it’s nice to do one final festive post before the big day! Normally December, I’m super unorganised but this year I had an excuse, I had mocks the first week of December so I was forced not to think about Christmas until those were out of the way! Not really! Although, mum will always get out the goose fat to roast the potatoes in on Christmas day! We always have homemade sausage rolls for breakfast on Christmas day! I’m not a coffee drinker, but I love Costa’s honeycomb hot chocolate! Urgh, please don’t make me choose!! I love all of them!!! We used to go to church however we’ve kind of moved away from that in the past few years, I just tend to watch Christmas movies now!! What’s your Christmas wrapping strategy? Do you have one? Stick the paper and the present together using sellotape before wrapping to get a really tight wrap. If all else fails get mum on the case! Waking up to find The Wanted under my tree wouldn’t be too bad. Describe your Christmas tree. How tall? Real or artifical? How is it decorated? Fairly tall, artificial and decorated with lights and lots of little decorations we’ve collected over the years, so every one is special! 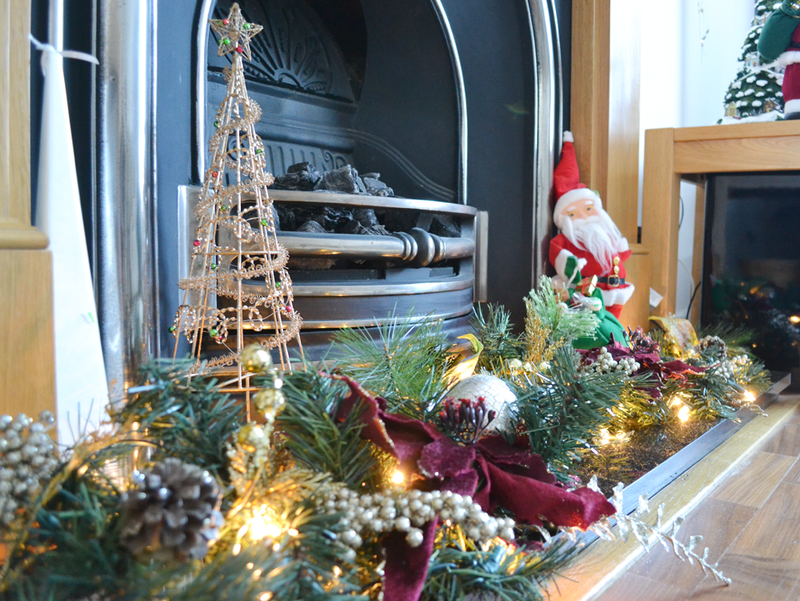 We decorate the whole front room with a banner, candles, ornaments and more! We also have a Christmas table cloth and tend to put up some dangly lights and a flashing ‘Merry Christmas’ sign! Is it bad that I don’t think I’ve ever been to a Christmas party?! On Christmas day it has to be PJ’s at first, then obviously something you’ve just opened for the rest of the day! "There’s nothing in this world I wouldn’t do"